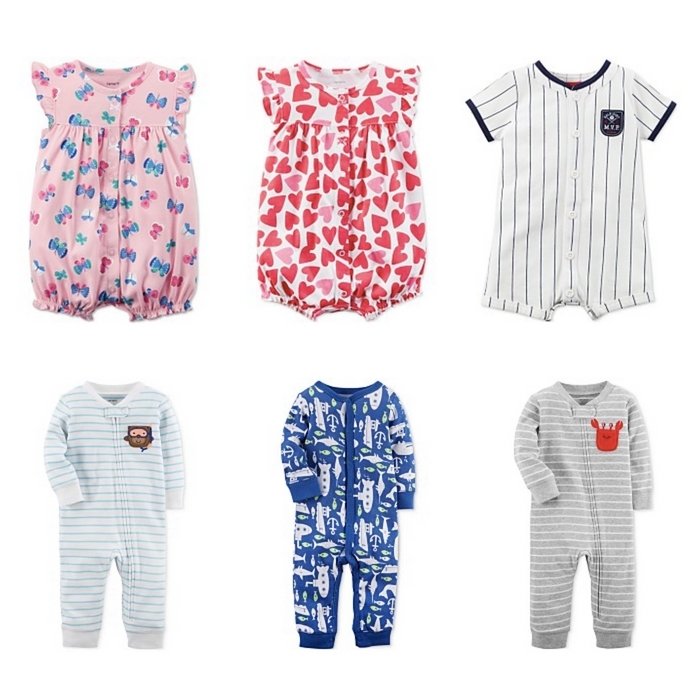 Carter's Cotton Rompers and Coveralls Starting At Just $4.99! Down From $14! You are here: Home / Instagram / Carter’s Cotton Rompers and Coveralls Starting At Just $4.99! Down From $14! Carter’s Cotton Rompers and Coveralls Starting At Just $4.99! Down From $14! Until 04/30/18! At Macy’s, you can grab these Carter’s Cotton Rompers for just $4.99 down from $14 and Carter’s 1-Piece Cotton Coveralls for just $5.60 regularly $16! Plus enjoy FREE Store Pickup or get FREE Shipping with any Beauty Purchase or on orders of $99 or more. Looking for comfort and convenience? These all in ones are the absolute baby staple that will change your life. They are made of soft, breathable fabric to ensure that your baby is super comfy and even a guaranteed rest for the mom! These baby essentials are made to keep your little one warm and nuzzled through cooler days and sleep times. Choose from the different cute prints and colors. Head over to Macy’s now before the price goes up!